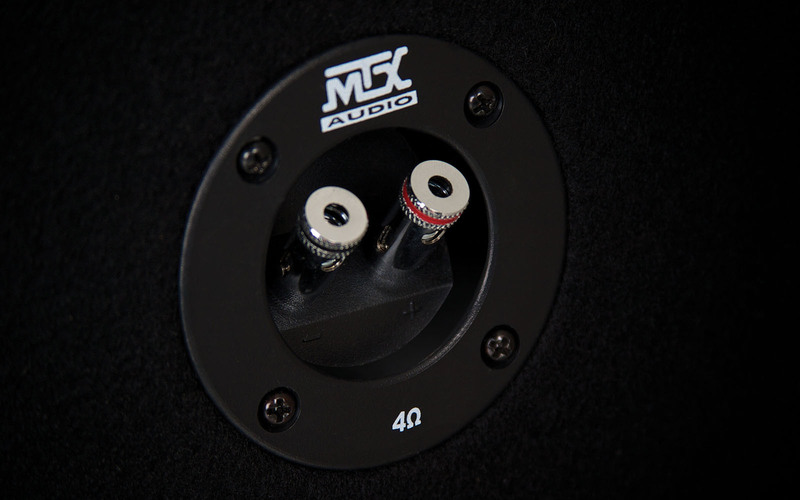 The MTX Terminator TNP112D is an unbeatable choice as a first system for audio enthusiasts looking to add bass to their vehicle's stereo system. 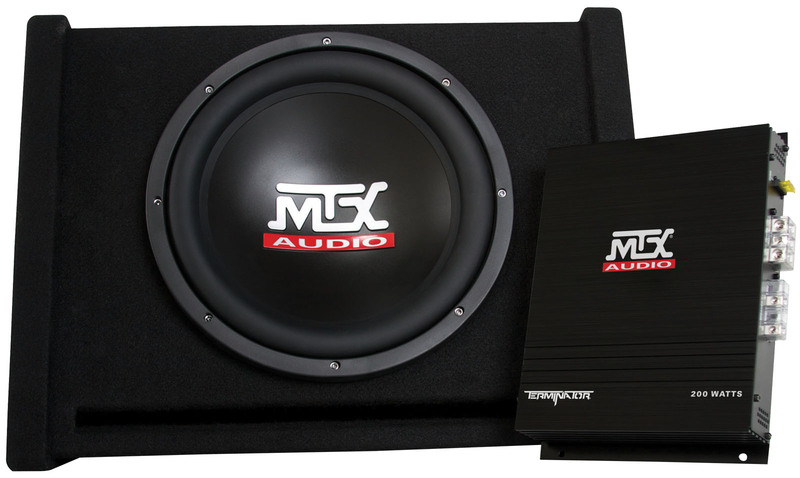 This single 12" vented enclosure and amplifier party pack is designed to be easy to install, use, and enjoy no matter what type of vehicle you have or music you love. Everything you need for a great bass system is in this package except wire! Consider adding the amp kit, interconnects and speaker wire to your cart (shown below). "Gives a clean sound for an open trunk as i have a hatch back car. Just one 10' does the job for my daily driver. 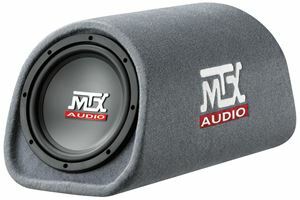 Thanks MTX Audio and Josh the rep who took care of me on this purchase." 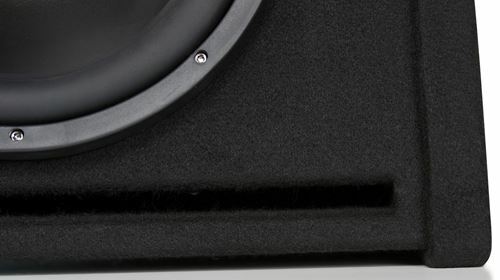 The included vented enclosure in the TNP112D party pack features a single 12" subwoofer designed to deliver 400 watts of Peak power. The unit features Spider Plateau Venting mechanically cooling to ensure cool air is targeted at the voice coil. 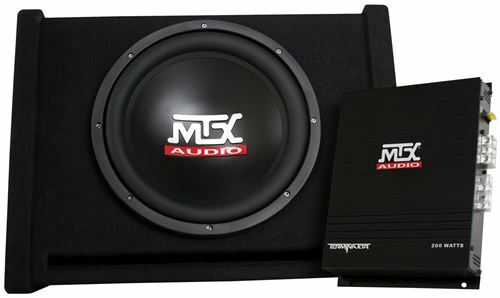 Additionally, the subwoofer features a high roll rubber surround capable of handling the extreme levels of excursion. The TNP112D features 5/8" MDF (medium density fiberboard) construction finished with aviation grade carpet ensuring durability. The integrated vent delivers excellent SPL from a small enclosure. The TNP112D includes a single channel amplifier capable of delivering 200 watts RMS power to the included enclosure. An extruded aluminum heatsink helps dissipate heat and the small chassis design makes it easy to install anywhere.